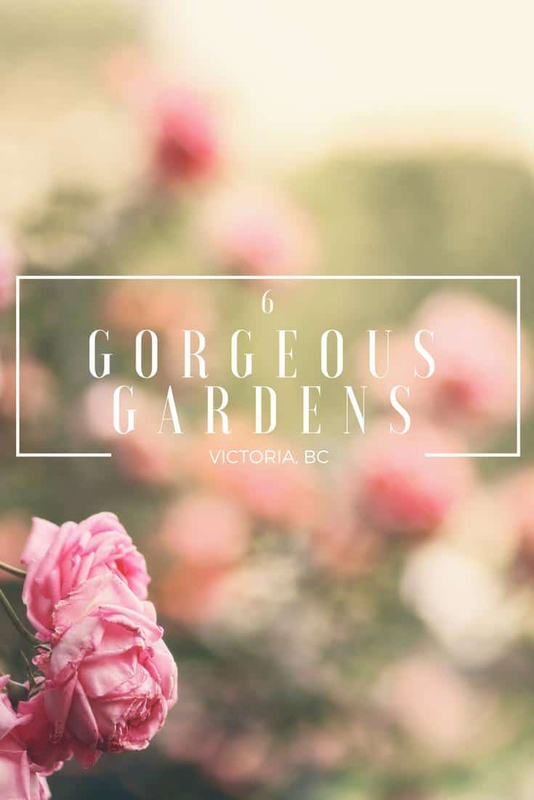 It is easy to see why Victoria, British Columbia is known as the “City of Gardens”. The Inner Harbour blooms with colours. Lush private yards attest to the prevalence of green thumbs. And several display gardens delight visitors. 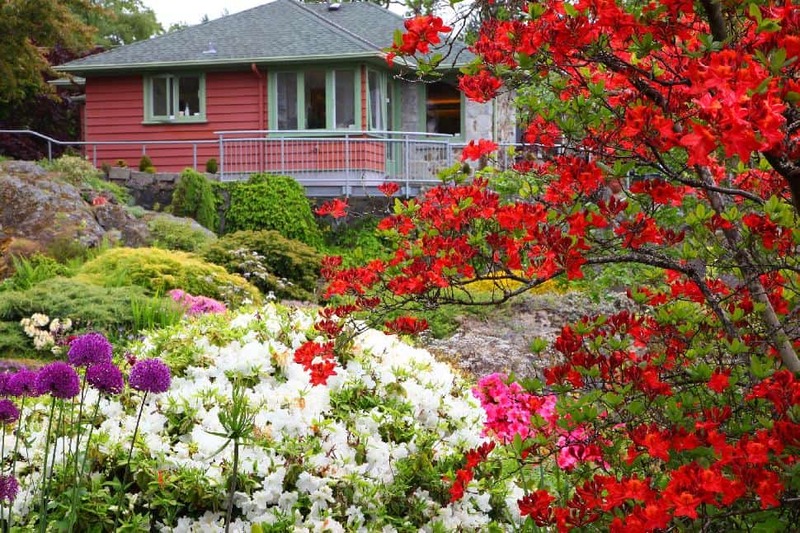 The varied plantings in the gardens surrounding the official residence of the Lieutenant Governor of British Columbia offer something for every season. A path takes you on a fragrant and colourful walk through a series of individual gardens, where you’ll find Victorian roses, herbs, irises, native plants, rock gardens, an English country garden, and even a small orchard. 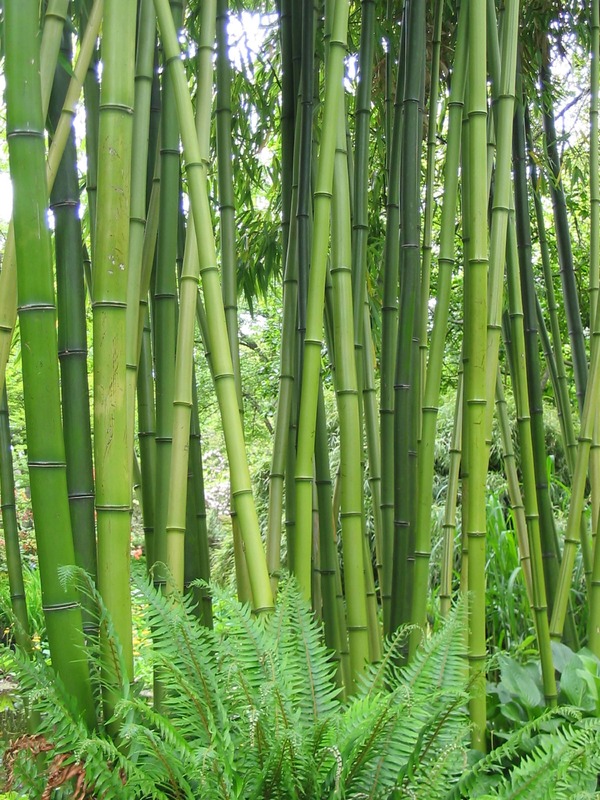 Bamboo trees surround a duck pond. A totem pole stands in the centre of a landscaped area in front of the House. The southern slope is an urban woodland of native Garry oak trees and wildflowers, giving visitors an idea of what this area looked like before European contact. Hours: The grounds are open to the public from dawn to dusk. Note: Government House itself is both a private residence and working office; there are no visitor services or amenities on-site. 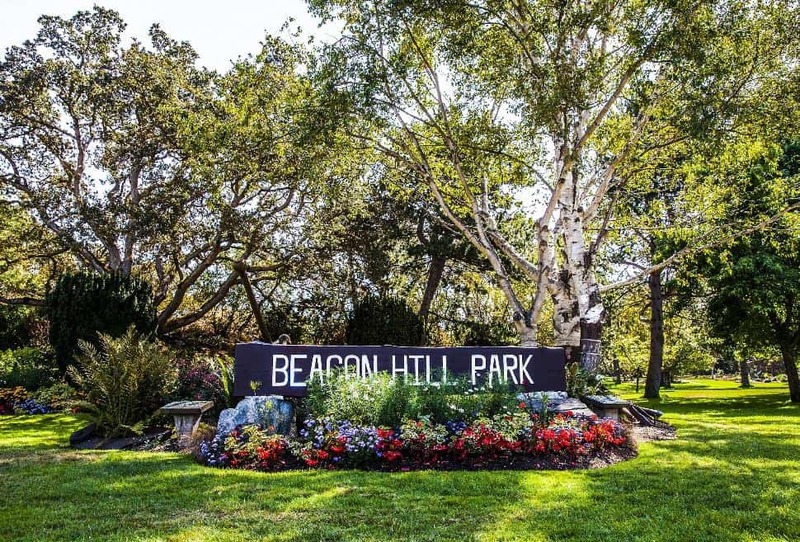 Beacon Hill Park, a 200-acre park in downtown Victoria within walking distance of the Inner Harbour, features walking trails, ponds, bridges, exotic and native trees, sports fields, a playground, an outdoor stage, and a petting zoo. Peacocks roam freely. Bald eagles nest in one of the trees and blue herons make their home near one of the ponds. The park is popular with residents and visitors. As you stroll through, you’ll see joggers, families pushing strollers, birders with binoculars, and groups picnicking on the lawn. 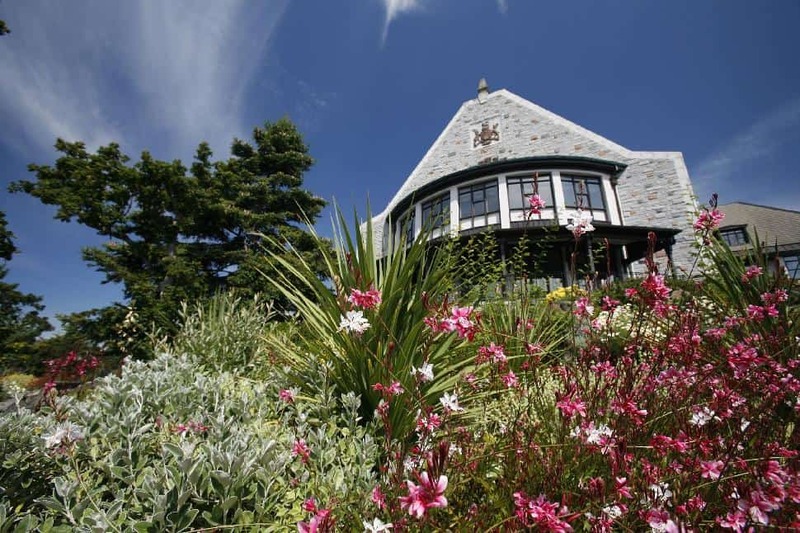 In the park you’ll find roses, rhododendrons, hydrangeas, and geranium trees. Camas plants fill meadow areas with purplish-blue blooms in spring. Camas bulbs were once an important food sources for the Lekwungen people. Visit the Moss Lady, a sculpture of a sleeping woman in a shaded clearing. She is eleven metres long and is covered with club and cat-tail moss. You enter through a woodland area of rhododendrons and Garry oak trees, and proceed through a series of distinctive garden rooms that flow together. Plants cascade down natural rock formations. Ponds in natural depressions in the rock provide homes for water plants and ducks. Peggy likened the image of the heather-lined path under a Spanish fir tree to the Yangtze River near her former home in Shanghai. Steps up a moss and lichen-covered terrace lead to the house, now a tearoom serving light lunches. This fully organic garden is truly a peaceful oasis. The grand Hatley Castle was built in 1908 for James Dunmuir, a former premier of British Columbia. The garden features hundreds of heritage trees, including two hundred and fifty year old Douglas firs. 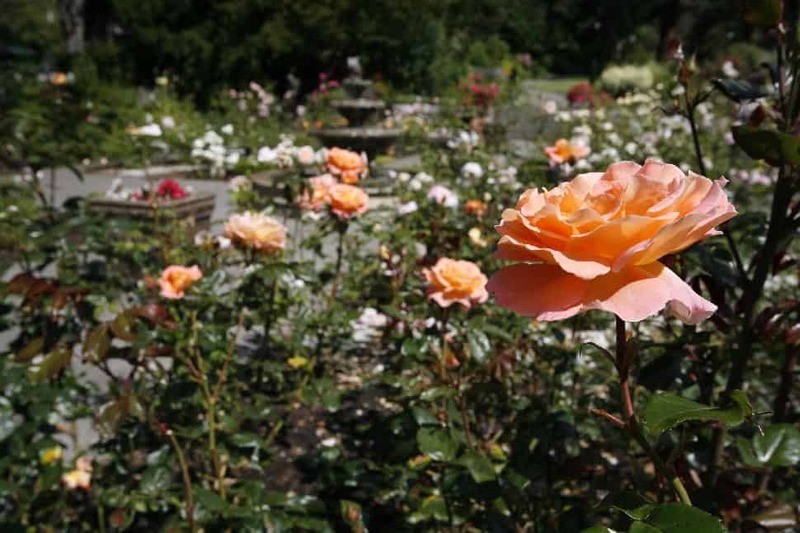 The Edwardian-style walled Rose Garden, designed in 1913, contains heritage roses and modern hybrids. The sundial and bench in the garden are original. Statues adorn the formal, symmetrical Italian Garden. Walking paths twist through the plantings in the Japanese Garden. The Garden contains stone lanterns, a well, and a tortoise-shaped island in a pond. At one time, Dunsmuir employed eighty to one hundred and twenty gardeners to care for his estate. 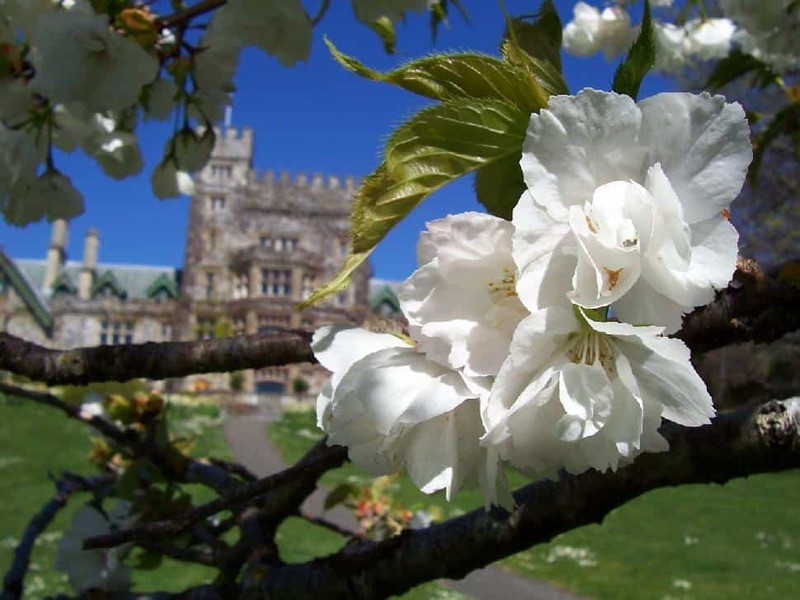 Today, this National Historic Site is the administrative centre of Royal Roads University. The gardens are open to the public for guided or self-guided tours. Finnerty Gardens sits like a sanctuary on the south-west edge of the University of Victoria campus. 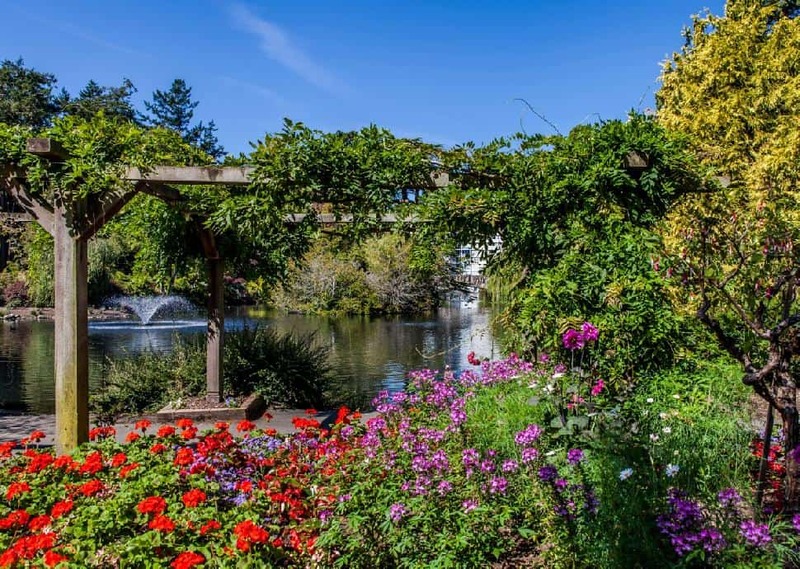 The gardens were developed in 1974 when Mrs. Jeanne Buchanan Simpson of Cowichan Lake left her estate to the university. 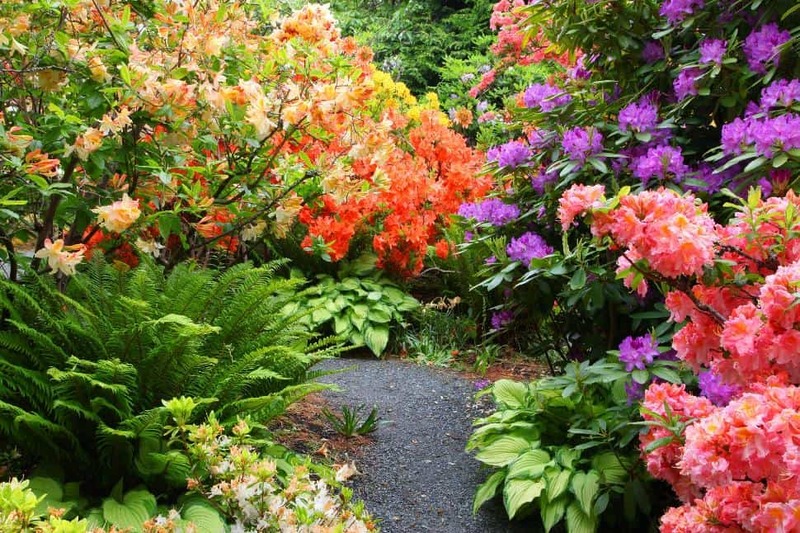 She and her husband had built up a notable collection of rhododendron species. Today, the Garden contains sixteen hundred trees and shrubs, including more than two hundred species of rhododendrons and azaleas. The rhododendrons flower from mid-January to late June. Other perennials create blazes of colour from mid-July onward. It is easy to drive by this garden hidden in the trees and not know it is there, but it is well worth seeking out. Victoria’s most well-know gardens are Butchart Gardens, located in Brentwood Bay twenty-three kilometres north of the city. Over a century ago, Jennie Butchart started creating gardens on an abandoned quarry after her husband had exhausted its limestone deposits. By the 1920s, more than 50,000 people visited her garden each day. Today, the Gardens are a National Historic Site of Canada and are rated as one of the top display gardens in the world. The spectacular Sunken Garden, built into the remnant walls of the old quarry, showcases annuals, flowering trees and unique shrubs. There is a Rose Garden, an Italian Garden and a Mediterranean Garden. On the path around the Concert Lawn, you’ll find the Children’s Pavilion and Rose Carousel, a menagerie of over thirty hand-carved animals and chariots. Two totem poles overlook the field. 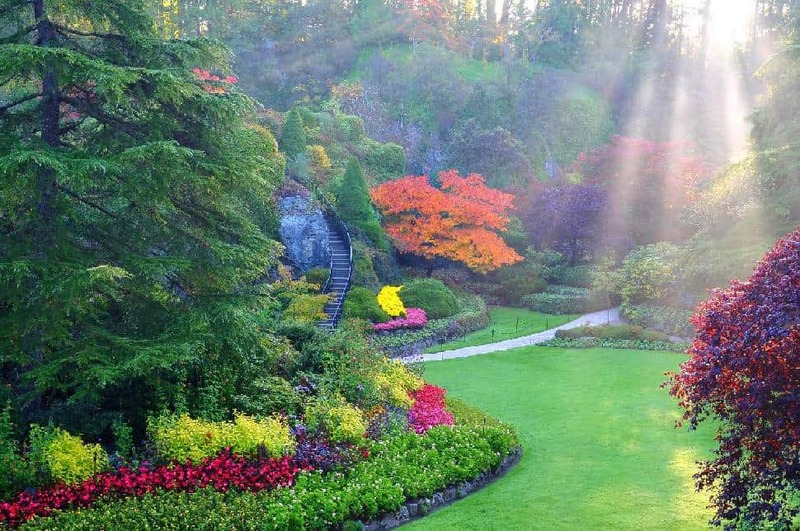 Butchart Gardens is open year-round, each season offering something different. The dahlia display in summer and fall is one of the best in the area. 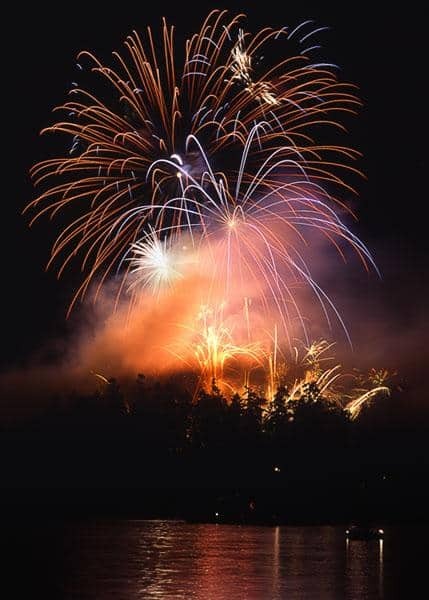 Don’t miss summer Saturday evening fireworks. Have you strolled Victoria's gardens? When travellers think of castles, they think of the medieval icons in Germany or the UK, but castles in Canada?